Adventure Bikes - California Bicycle Inc.
San Diego has a great selection of riding types from the coastal roads to the desert trails we truly have it all. Including plenty of rural destinations for those seeking to get off the road ways and into the wilderness. California Bicycle has a large selection of Adventure and Gravel style bikes in stock from Litespeed, Felt, and More! 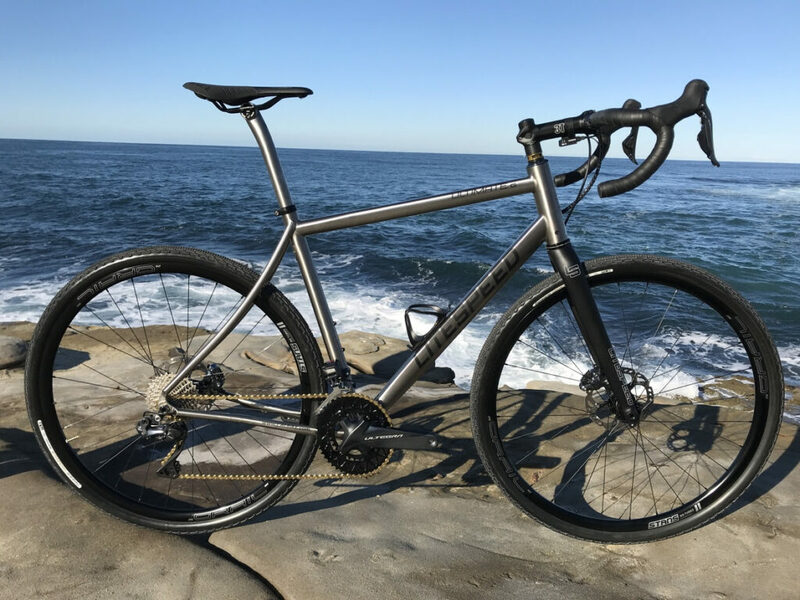 All-new Ultimate G from Litespeed is a true titanium race bike. Race bike agility, pack stability, climbs and descends with ease, and yes, aerodynamics - the Ultimate do-it-all gravel bike. We’ve even added vertical compliance using tubular, aero, titanium tubes as subtle springs. The Ultimate Gravel is one of the lightest and most aerodynamic gravel bike offerings available.